In my first batch, I only smoked them and they were pretty darn good but I knew they were missing something texture wise. I then decided to give them a good sear in the frying pan after they cooled down and that made all the difference in the world. A good crisp on the outside, tender and juicy on the inside.. oh yeah! If you live close to a Costco and perhaps some of the other big club stores, then you are fortunate. 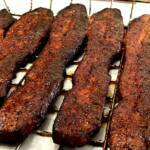 Many of them carry pork belly and pork belly slices like the ones I'm using in this recipe. If you don't, you'll have to get a little creative but it still should not be that difficult to find a store that carries it and simply ask them to slice it for you into ¼ inch slices. This is the part of the pig where bacon comes from however, when making bacon, it gets cured, possibly smoked and sliced much thinner. I suggest calling all of the grocery stores, meat markets, etc. in your area and ask to speak to the meat guy. This guy or gal can tell you if they have pork belly or a good place to find it and they'll be the one to ask about slicing it. I like to get some salt into the meat of the pork belly slices to help bring out the flavor. 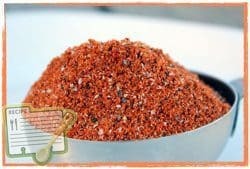 This is especially important when you use my original rub recipe since it does not have a lot of salt. After some trial and error, I decided that these absolutely needed more salt. Simply lay the pork belly slices flat on a large pan. Sprinkle kosher salt all over at about 10% coverage. This is very difficult to measure so it's more of a visual thing– here's an image that shows the coverage I used. 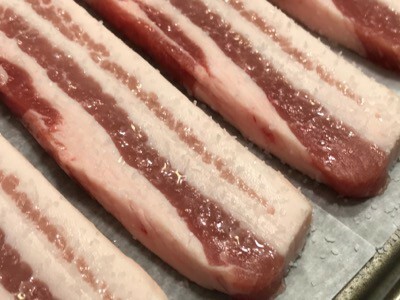 Place the pan of pork in the fridge for 1 hour. During this time the salt will draw moisture to the surface. Here's a picture of the pork after only 20 minutes. See the moisture pooling on the surface and the salt beginning to dissolve? The salt will melt and mix with the moisture and absorb back into the meat. You will notice that this does not happen in the fatty areas.. I'm sure there is a scientific reason for this. At the end of 1 hour, flip the meat over and repeat the dry brining on the other side placing it back in the fridge for another hour. To clarify, both sides get dry brined and refrigerated for 1 hour. Now the meat is ready to be seasoned with my original rub (purchase formula | Buy original rub already made). 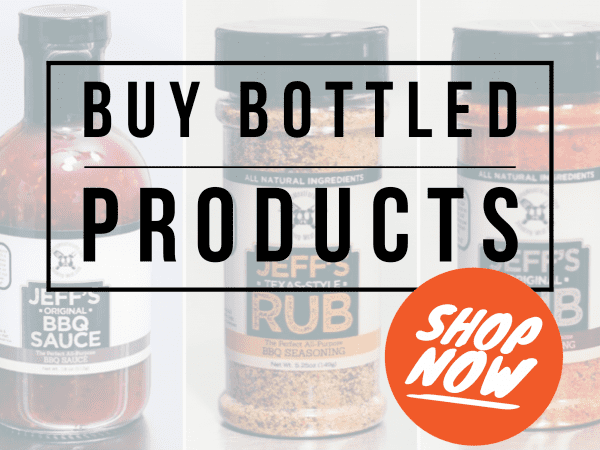 My rub was original designed for pork.. pork ribs specifically. It adds that perfect balance of sweet and spice to the outside of the meat and it's guaranteed to please. Generously sprinkle the original rub all over the top side of the pork belly slices. Let them sit there for 10-15 minutes or until they get that “wet” look. Sort of like the dry brining process, the small amount of salt in my rub draws moisture to the surface and it mixes with the rub giving it a “wet” look and helping it to stick to the meat. Flip the slices over and repeat the original rub on the other side once again, wait for the “wet” look before proceeding. 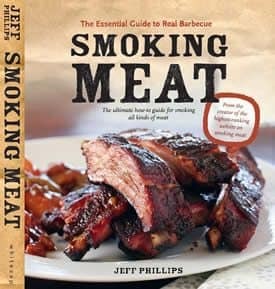 This is a great time to get the smoker ready. 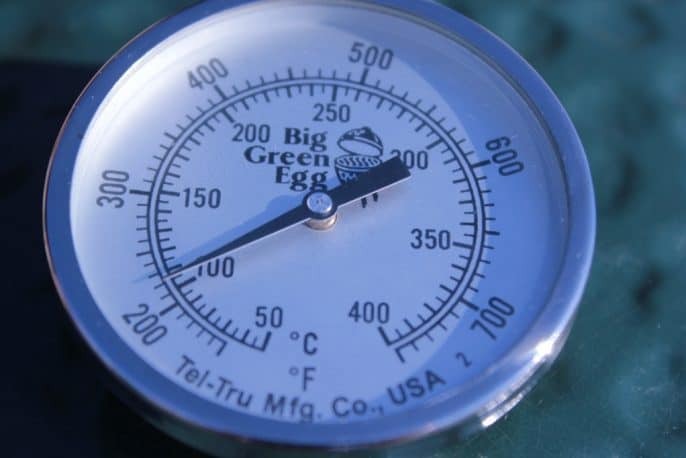 Set up your smoker for indirect cooking at about 240°F using hickory wood or whatever good smoking wood you have available. You can use ANY smoker to cook these but preferably one that can cook at at the recommended temperature of 240°F. It's ok to use the water pan if your smoker is designed for this. I don't generally use water pans in smokers that do not come with a water pan. 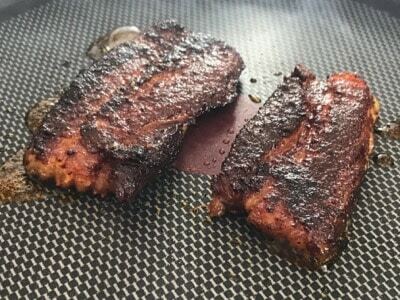 Having said that, unless you are drying something such as jerky, it is always ok to place a pan of water below the grate, on the grate or wherever it works best in your smoker to introduce a little moisture to the smoking process. 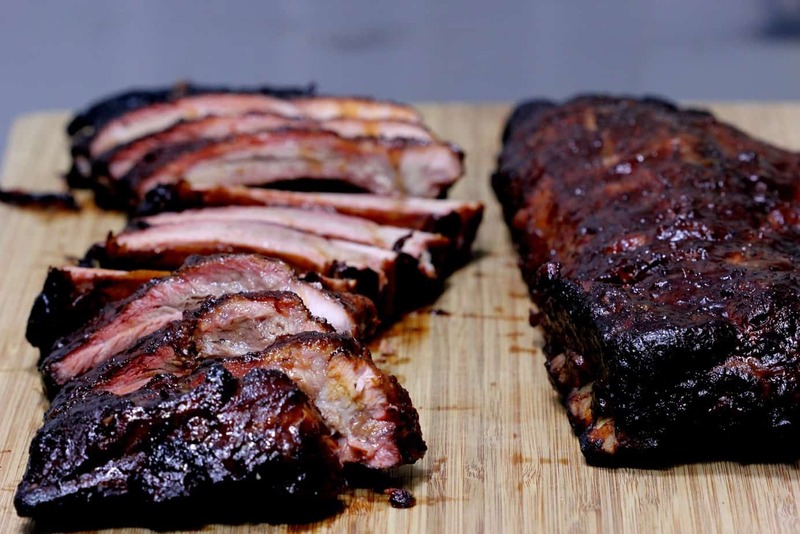 Once your smoker is preheated and ready to go, you can proceed with the smoking process. I placed my slices on Bradley racks to make it easy to transport out to the smoker. I also left the slices on the racks during the cooking process. The Weber grill pans or even a cooling rack will work equally well. Place the pork belly slices into the smoker and let the cooking begin. You can expect these to take about 90 minutes to reach 200-205°F however this greatly depends on how well your smoker maintains the temperature, weather, wind, how often you open the door, etc..
For these slices, it's not easy to use a leave-in thermometer like the “Smoke” by Thermoworks so I usually just check them with a fast reading Thermapen at about the 60-70 minute mark to see how things are progressing. These will get more and more tender as you cook them so it's important to not pull them early. 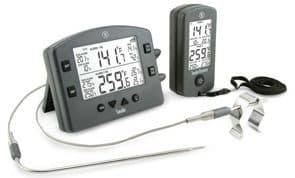 Once they reach 200-205°F as measured by a high quality hand held digital thermometer such as the Thermapen Mk4 or the ThermoPop, remove them from the smoker and set them on the table or cabinet to cool. Feel free to sample one if you like but I can tell you that the last step makes all the difference in the world and I hope you can trust me on that. Once they are cool to the touch, I usually pile them into a foil pan and place them into the fridge covered. Wait about an hour or longer before searing them for best results. Note: because of this cooling process, these are great for making ahead of time and then you can sear them right before your guests arrive. I used a large skillet for this process the first couple of times and an electric griddle the last time. Both of these options worked very well. I recommend medium heat and you shouldn't need any oil since the meat tends to have plenty of fat. Place a few slices of the meat into the pan for about 30+ seconds each side. 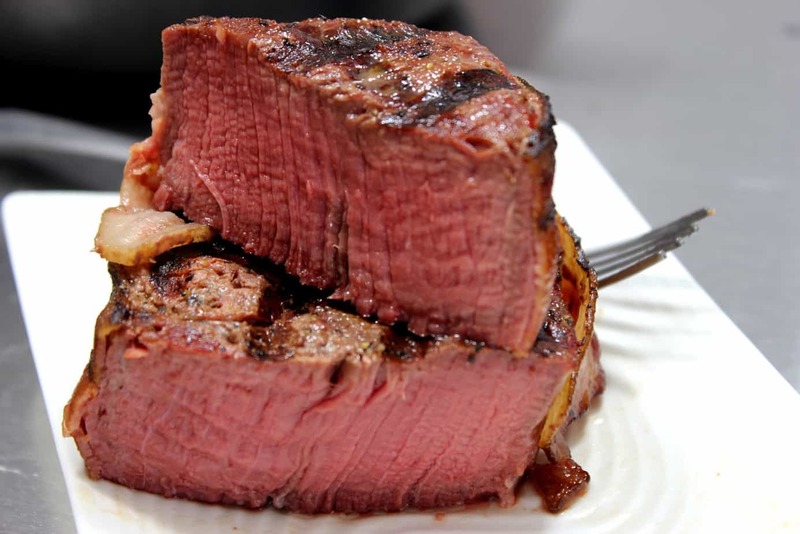 You do not want it to be black but just a good sear that really brings out the flavor and the texture. Note: I cut some of the slices up into smaller pieces and that made it a lot easier to work with in the pan. I served these to a crowd of about 10 and they were some happy campers! I highly recommend trying these really soon.. maybe even this weekend! These smoked and seared pork belly slices are just what you need if you are looking for an appetizer that will take your party or get together to the next level. 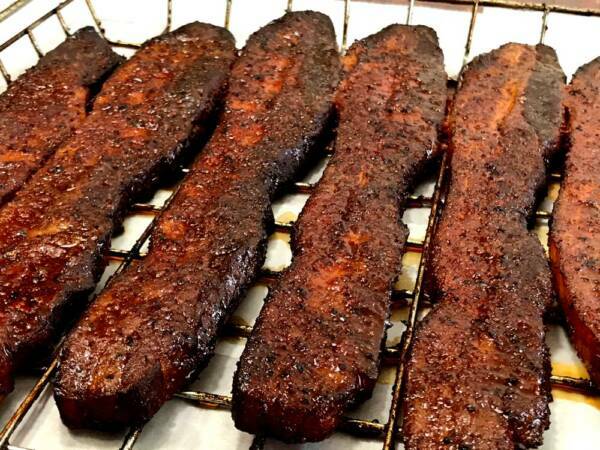 It's like bacon on steroids and you'll wonder why you've never made these before! 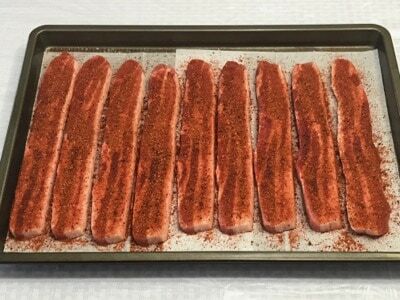 Lay the strips of pork belly on a flat sheet pan for dry brining. Sprinkle salt on the top side of the meat at about 10% coverage then place in the fridge for 1 hour. Flip the meat over, salt the other side in the same way and place it back in the fridge for another hour. After the 2nd hour, the meat is ready to be seasoned with the original rub. Season both sides liberally with Jeff's original rub waiting in between top side and bottom side for the rub to acquire that "wet' look before flipping them over. 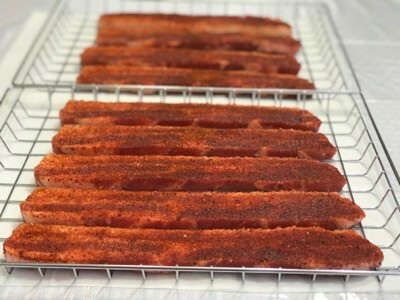 Smoke the pork belly slices at 240°F for approximately 90 minutes or until they reach an internal temperature of 200-205 °F as measured by an instant-read hand-held digital thermometer such as the Thermapen or ThermoPop. 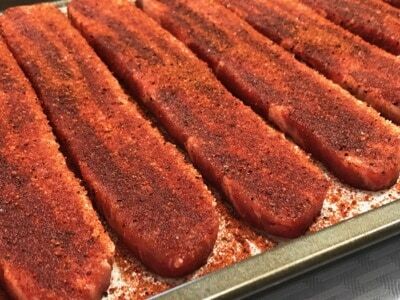 When finished, remove them from the smoker and let them cool for about an hour. You can also place them in the fridge to cool for longer if you are making them ahead of time. 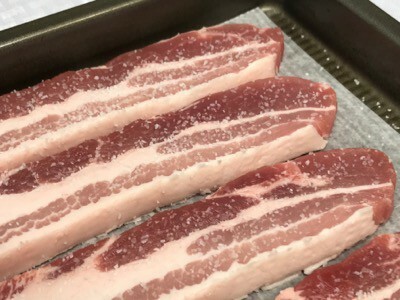 Just before serving, heat a skillet or electric griddle to medium heat and cook both sides of the pork belly slices until they are seared but not blackened. Was wondering if you can freeze them after they have cooled for future use. I’ve done this before with excellent results. It’s great to just grab one or two out of the freezer and chop up to throw in a skillet with some eggs or mix in with some mac-n-cheese !!!. 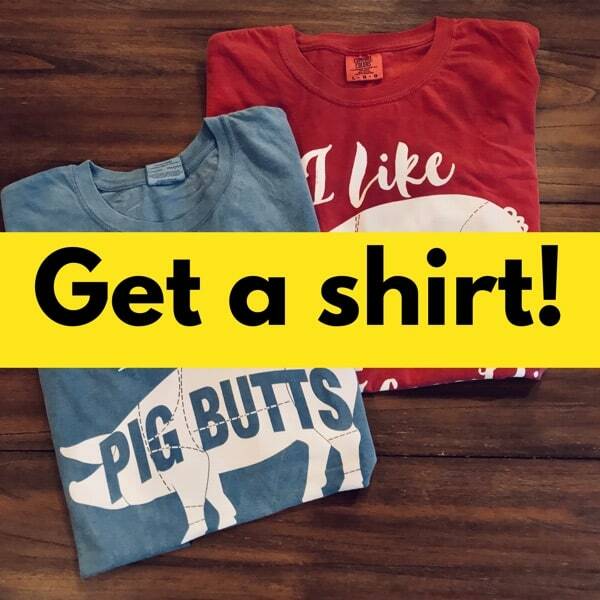 Getting ready to to do another batch this weekend !!! Has been terrific, thank you!!! 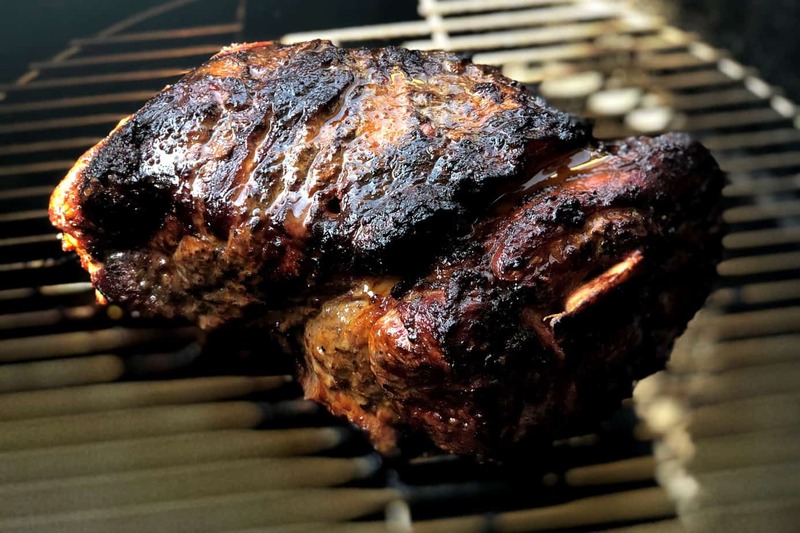 Many of your recipes call for meat to be smoked at 240 degrees. I have a Traeger (which is absolutely awesome) but the temperature settings are in 25 degree increments, so I have 225 or 250 as my options. I generally use 225 when you are recommending 240 because when it comes to smoking “slow and low is king.” As a general rule of thumb would you recommend 225 as I am doing currently or 250? 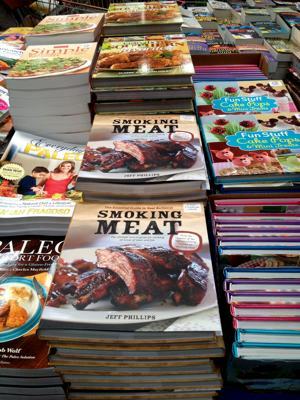 For a pellet smoker, I recommend cooking as low as possible as that produces more smoke. 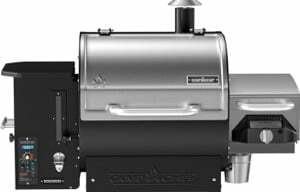 225 would be a better option for the Traeger. 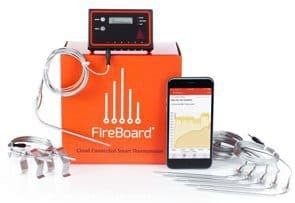 Can I use an outdoor grill for the seating step or will the the amount of fat cause too many flare-ups? A grill will work just fine. There may be some flare ups but that will just sear the slices faster and should not be a problem as long as you stay close and watch them carefully so they don’t burn. Happy news Jeff! Turns out this is a great food to eat on a Ketogenic diet! I’ve lost 41 pounds in 9 weeks with no effort or hunger pains due to a low carb (meat), High fat (bacon), moderate protein diet. Sure I throw in an avocado a day and plan to try smoking some with a nice apple wood next week! I saw a recipe for smoked greenleaf lettuce that I might try too! 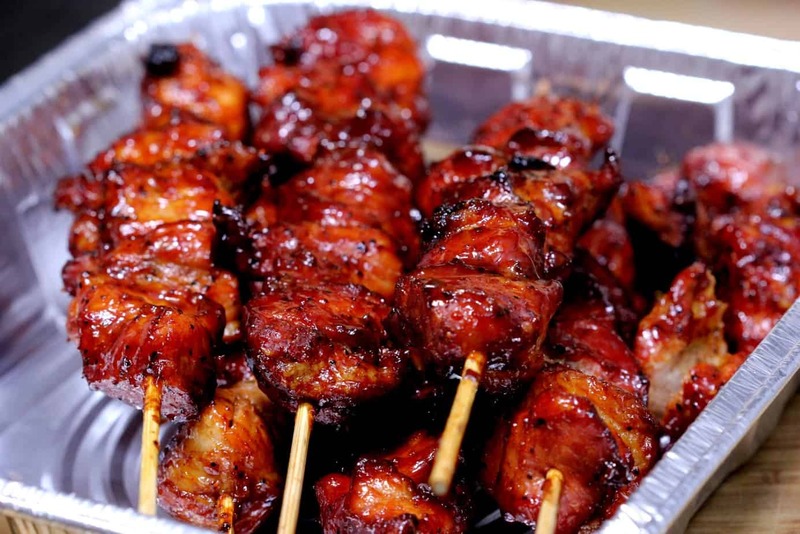 Somked cheese filled, bacon wrapped, peppers…yum! I have pork belly burnt ends, thighs, and boneless beef ribs smoking now! They are uncured when you buy them. 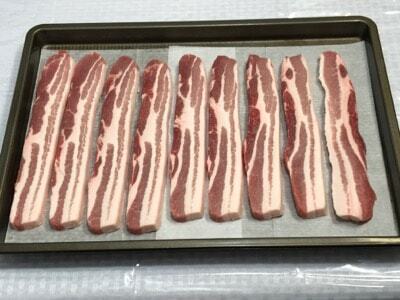 Perfect for curing them yourself and making your own bacon! Did these for Superbowl and wow!!!! They were GREAT!! Had 1/2 of them left and took a few pieces to the guys at work. Broiled them for a bit instead of searing in the pan. HUGE HIT!!! 1) The finished product was REALLY salty. I tried to adhere to your “10% coverage” for the brining process. 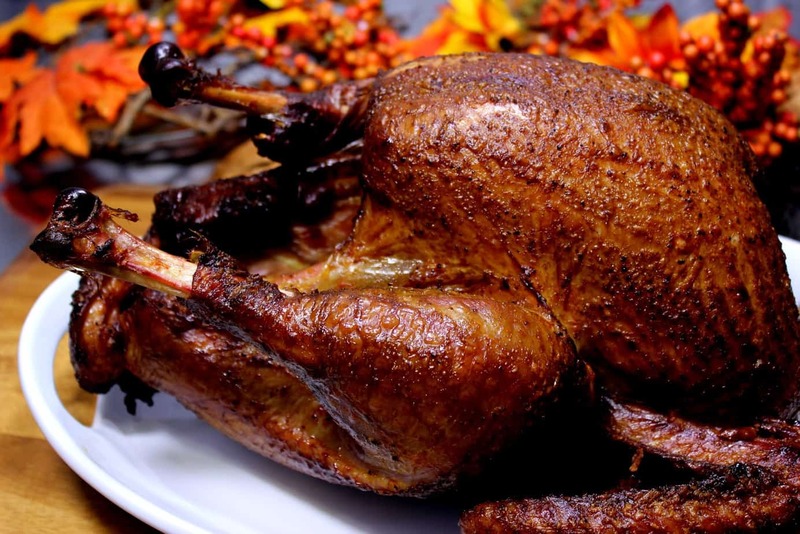 Should I have rinsed off the brine before applying your rub? 2) I purchased a 4-lb pork belly from the local farmers market, and it included the skin. The butcher suggested leaving the skin on, so I did. After smoking, the skin became very hard, and I ended up peeling it from the pieces, since it wasn’t really edible. So the suggestion is NOT to buy the pork belly with the skin and have the butcher remove the skin before slicing up the meat. Thanks for many, many very fine meals, and your weekly recipes!! Make sure your local market didn’t cure the pork belly ahead of you buying it. 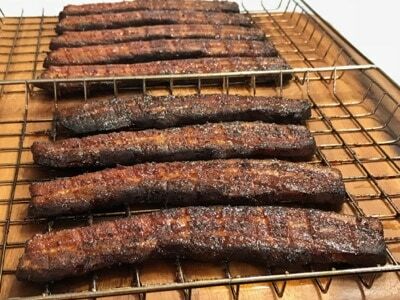 I made these this past weekend with a 9lb pork belly and they turned out excellent! Not too salty at all and just right. They were a huge hit! I have made these for several years. I cut these into small bits with tooth picks. 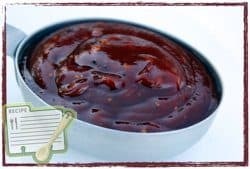 The only thing I do differently is when they reach close to 200 I brush on BBQ sauce and turn up the grill to sear the sauce. Amazing !! !